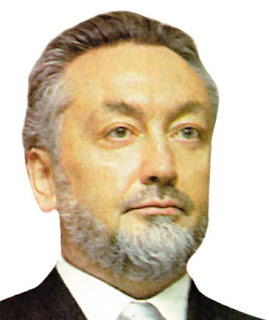 Harun Yahya is the pen name of Adnan Oktar, born in Ankara in 1956. As a preacher and a leading scientist of Turkish origin, he is upholding morality and devoted his life to preach the religion to society. he grew up in this town until graduating high school. His commitment to Islam grew stronger when he was in high school. In this period, a deep knowledge of Islam he gained from reading various religious books. In addition, he also gained an understanding of the essential facts other then he let the people around him. In 1979, Adnan Oktar moved to Istanbul to study at Mimar Sinan University. At this time that he began proselytizing mission, calling people to good manners and ordered that doing good and forbid the evil. Since before Adnan Oktar start college at the Mimar Sinan University, Istanbul, the school was already under the influence of illegal organizations Marxist atheistic views were prevalent in the campus. Any person, whether he is a faculty member or a student, was a materialist atheist mindset. Indeed, the teaching staff take every opportunity to spread the materialist philosophy and Darwinism in the lectures they give in spite of two things have nothing to do with the topic of their lecture. In an environment where religious and moral completely ignored and rejected, Adnan Oktar called on the people around him to the unity and existence of God. As may be understood, under such circumstances, Islam was not given a chance to flourish. His mother, Mrs.. Mediha Oktar, said that at that time he only slept a few hours in the evening, mostly spending his time reading, taking notes and keeping records. He read hundreds of books, including the basic works on Marxism, communism and materialistic philosophy and studying books leftist ideology, including classic works of literature or other people rarely read. He examines such works, mark the important parts and make notes on the back of the book. This made him very aware of the philosophies and ideologies, far better than their ideological supporters themselves. He also did extensive research on the theory of evolution is regarded as the scientific foundation of these ideologies and gathered documents and information in connection therewith. After collecting an abundance of information about the various deadlocks, contradictions and lies contained in the philosophy and ideology that is based on the denial of God, without wasting any more time, Adnan Oktar use the information to disseminate facts exist. Almost to everyone, including students and faculty at the university, he preached the existence and oneness of Allah, and the Qur'an, Allah revealed Scriptures, using scientific evidence. In the middle of the conversation in the campus cafeteria, in the corridors during breaks, one could see he was explaining the weaknesses and errors of materialistic philosophy and Marxism by taking excerpts from books that serve as a reference of the ideology itself. He gave special attention to the theory of evolution. The theory presented by certain groups against the fact of creation is believed as true by university students at large. Using the guise of science, the theory is actually intended to poison and destroy faith and morality of the youth. If evil plots of scientific falsehood is not removed, it will appear the next generation who did not have the spiritual values, moral and religious. Adnan Oktar concentrated its efforts in proving the lies and veiled threats from the theory of evolution. Because evolutionary theory propagated by scientific lines, he argues that science is the most appropriate means to dismantle the falsity of the rationale of this artificial theory. He is preparing a book entitled "Theory of Evolution", a summary of his research and his assessment that the theory of evolution. He bear all costs incurred for printing and copying books from hasi money selling some inheritance he received from his family. Then he handed the books free of charge to the students and discuss it with anyone he meets. This book contains a very comprehensive review that proves that evolution is a lie that is not logical and has no scientific value at all. Any person who discussed with him can clearly understand that the theory of evolution has no scientific validity at all. So that one can easily understand the fact that no living creature ever to appear in this world by chance but by God's will. However, some students who are blind imitation of the idea of ​​materialism, despite already knowing the truth, openly expressed their denial. Some of them dares to say: "Even if I see God with my own eyes, I will continue to fight against him." Moreover, some militant students on the university openly threatened Oktar said that he lives in jeopardy if he did not want to stop their activities. But all the pressure and the threat is only made stronger Adnan Oktar's determination and sturdy. Harsh reaction and concerns of the materialists and atheists is evidence that Adnan Oktar is on the right. At the university dominated by Marxists, which often acts of anarchy, every day dozens of people were killed. In such conditions, he openly preached the existence and oneness of God and the glory of the Qur'an. In an educational institution where people hide their faith, he regularly came to the mosque to pray Molla and without heeding all the responses and threats against him. Adnan Oktar always attended lectures by bringing these documents and a collection of research-scientific research and discussions with faculty about the materialistic philosophy and the theory of evolution. At that time, there were two faculty members who incessantly talk about evolution and atheism propaganda. Therefore, the two men became popular and respected among the Marxist students. But the inability to maintain their opinions in their discussions with Adnan Oktar, coupled with the answers they give illogical been clearly shows the failure and falsity of the theories that they teach to the students. One day after class, one of the teaching staff did a brief discussion yet quite hit the mark with Adnan Oktar on the impasse of the theory of evolution. Teachers are not able to provide explanations and answers that make sense on documents scientific and logical explanation given Adnan Oktar. All he can do is hurriedly left the premises. Defeat in the discussions before the eyes of the students made was devastated. Since then, the faculty who usually make philosophical talks are "serious" and long with his students in the hallways after class now looks a hurry to get to his office so as not to meet with Adnan Oktar. Most of the Mimar Sinan University student at the time to know about this. When first preach Islam at Universita Mimar Sinan, Adnan Oktar was alone. For more than three years, no one who receives his mission. The people who have the same confidence and support him fully yet seen or accompanies him in that period. However, the lack of support does not change his commitment. He knew that God is the only helper and he did it all to get the pleasure of Allah. Sometimes there are some young people who listen to and agree with his ideas. But this is only limited interest never developed into full support. Three years have passed in Mimar Sinan University and within that time frame, Adnan Oktar trying to find people who can understand the existence of God. This is the period in which he did an ideological struggle against Marxism and atheism alone with his own means. Eventually the Marxist leaders on campus began to avoid him. Was unable to refute the argument saintifiknya about evolutionary theory and Marxism, they can not do anything else except scorn and criticize beard, clothes and his way of life. Adnan Oktar obtaining a high score in the entrance test Mimar Sinan University. He has an amazing ability in the field of painting. He could just as easily take art majors and careers to reach its peak. He might be thinking, "First of all let me achieve what I aspire to and only then I would preach Islam", but he did not. He spent all his time, energy and means exist for one purpose. The absence of support during these years may actually encourage Adnan Oktar to think that all his efforts had been in vain and better stop. But he did not. Armed with determination and commitment, he continued to preach to spread the word of Allah to the people around him to always remember the words of Bediuzzaman Said Nursi, "What is needed is not a skill in collecting the number of listeners that much, but how to obtain the pleasure of Allah". Finally, in 1982, for the first time, some freshmen Mimar Sinan University decided to support Adnan Oktar in his preaching. Along with each passing month and year, the number of young people who agree with him to grow. Miracle in God's creation, falsehood views Marxist group which is the dominant ideology of the time was the main theme of the talks Adnan Oktar with these young men. His main ambition is to drive the youth to be honorable people. From 1982 to 1984, a group of about 20-30 people was formed. In 1984, some young men who were the children of a respectable family in Istanbul was introduced to him. They come from a family that is known, has a position and a high economic status in society. During discussions with Adnan Oktar, these young people thoroughly understand the importance of morality and values ​​begin to change their lifestyle. Their adherence to Islamic morality really fascinate people around them live. During the two years after 1984, talks were held with the youth, who was still sitting in the top tier of private schools in Istanbul about the morality issue. During these years, Adnan Oktar was no longer studying at Mimar Sinan University. He enrolled as a student at a new faculty of Istanbul University, majoring in Philosophy. The young man who met Adnan Oktar is sympathetic to him, and were struck by the behavior, views and attitudes he was polite. Because these young men also introduced him to their friends, a large number of top-level high school students the opportunity to meet with him. His name appears for the first time in the magazine Nokta (Point) in 1986 and this is the first time he was widely known. Happenings about Adnan Oktar appeared as the lead story on the magazine Nokta after a visit Rusen Cakir, a correspondent for the magazine, into a mosque where Adnan Oktar held meetings and discussions with colleagues. The report is posted under the title "faithful supporters of the campus" tells the tale of Adnan Oktar and the way he communicates the message of Islam to the youth around him. During this period, many university students, mostly from Bosphorus University, one of the most prestigious universities in Turkey, started to arrive and participate in discussions with Adnan Oktar. Until the early summer of the same year, the media carried a report about Adnan Oktar almost every day. Many newspapers featuring his name in the title of the main report. The success of Adnan Oktar to preach the message of Islam to the society that seem the most distant from religion shocking mass media. At that time, Adnan Oktar about Jews and freemasonry will soon be published. Adnan Oktar concentrated hard work for this one problem given in the Qur'an Allah turn our attention to the Jews, one of the greatest enemies of the believers. From his research, Oktar came to the conclusion that the activity of Zionism in modern Turkey by freemasonry, a secret society. There is a hidden but widespread influence of freemasonry in government offices, institutions of higher education, the organisa-political organization and the media. Their main mission is to keep the Turks gradually from spiritual values, religious and moral and make them like animals, as stated in the Torah that has been modified. To achieve this goal, the materialist view, the theory of evolution and patterns of life are immoral and contrary to religion disseminated to the public. The members of freemasonry in all government agencies, the media and educational institutions in implementing the main control indoctrination is massive. Adnan Oktar is what causes the focus to the problem. Through tremendous barriers, he finally managed to get the original publications of the freemasonry are actually devoted to their own circles. Judaism and Freemasonry books published during this period and is a result of in-depth and detailed research conducted on freemasonry original literature for many years. Jewish book publishing and freemasonry it's a culmination point for Adnan Oktar. The public get access to "inside" freemasonry, an organization conduct its activities in secret. This book reveals the list members Freemason temples, position each member of the organization, a list of people who sit in government Freemason, Freemasons various companies and institutions, their activities, economic and political power held by the Freemasons. The main source of all this information is the original publication of the Freemasons. In short, this book dismantle the dark face of freemasonry, which is a secret society that has a relationship with Zionism. In the book, readers can find out about the activities of Freemasons who have close links with the Zionist ideals, organizational structure and hierarchy of freemasonry, symbols and rituals, the relationship between freemasonry and Judaism, Torah has been changed and tradition of Kabbalah. The discovery of the most secret part of the freemasonry in public is certainly not liked by the members of this covert organization. On the other hand, some elite families feel annoyed because their children began to change their lifestyle and began to perform the duties of religion. In essence, these two factors that drive the Freemasons sought to stop the activities of Adnan Oktar. At first, through "mediators" or "third party" they offer a large amount of money to Adnan Oktar to want to stop the publication of the book Judaism and Freemasonry. After getting the answer "no", they began to threaten him. After the second way this fails, they then hold Adnan Oktar on charges of committing a crime that he himself never knew. News circulated later said that the reason he was arrested was because his words: "I come from Abraham and Turkish ethnicity" in an interview published in a newspaper. At the same time, false reports, the news that there is no proof and slander against him began to appear in the media. It is certain that the freemasonry regard him as a serious threat to their existence. Before it's too late, they took the initiative to stop the activity. Adnan Oktar locked in a room together with a dangerous psychiatric patients. His colleagues are only allowed to visit him 5-10 minutes behind bars. He frequently reminded the penjenguknya, "Do not worry, God is with us." Adnan Oktar initially arrested and placed in a prison. Then, he was transferred to a psychiatric hospital Bakirköy and placed under the supervision of a made-up excuse, that he was mentally unwell. In the hospital beiau placed in the 14A, a special section where patients live a very dangerous and people are immune to punishment. Murder is a regular occurrence for mental patients, that Oktar is expected to be a victim of one of them. For some time his feet chained to a bed and he treated savagely. By force, he was given drugs that interfere with consciousness. On the other hand, his companions who are young who secretly managed to visit and see testifies that he never lost his commitment and passion while in the hospital. Everything he experienced actually increase the commitment. His facial expressions are seen in a photo taken in front of the window bars of an indication that the light that Adnan Oktar was determined to continue the struggle. Oktar put in jail and the mental hospital as a whole for 19 months and then was convicted of not guilty and acquitted by the court as a statement proven to be offensive. Upon release, he saw that during his stay in the mental hospital, the number of supporters of the young rising rapidly. Some of them saw him for the first time at the hospital. Since there is no prohibition to visit him, they can only be seen behind the iron bars of the hospital. The talks which lasted a few minutes they did with Adnan Oktar's behind bars-one can only go to the hospital by climbing a fence-making these young people have a sense of deep love and respect for him. Since the year 1979, when Adnan Oktar began to preach Islam, he was the main goal is to disassemble the real face of the theory of evolution. The theory of evolution has always been a topic that has priority over the other. With determination, he was doing his activities against Darwinism. In 1986, he collected all his research on Darwinism valuable in the book: "Living Things and Evolution". By using scientific sources, this book reveals the impasse theory of evolution and the fact of creation thrusts. Over the years, the book will serve as the primary reference anti-Darwinism. In those years, advocates of Adnan Oktar also focused their work on this issue. They exert every effort to inform people about the lies the theory of evolution. On college campuses and schools, scientific explanation of Darwinism lies transmitted to the students. This is a big surprise to senior faculty who believe blindly Darwinism. This is the first time in their life encounter students who know a lot about the theory of evolution. That makes their surprise, these young people to know the theory more of their own and defend the theory of creation with convincing arguments. In some universities, held a conference on the theory of evolution. The students and faculty are enthusiastic atheist conference was disappointed and surprised by the scientific evidence disclosed in the conference. News that the theory of evolution is not scientifically proven even scattered in various book fairs, cultural centers up in public vehicles. This is just the opening of a campaign that had been due to be held in 1998. The campaign's aim is clear: to remove the theory of evolution and materialism of history. Until now, Adnan Oktar was released in 1988, most of his friends had been on the bench of the University. Adnan Oktar effort to spread the message of Islam and moral values ​​are no longer restricted in schools. It was the first time when the various layers of society accept these views. Adnan Oktar and his responsibility to remind the younger generation that has no purpose in life except to enjoy their lives to the full, that they will be held accountable for everything they do and think, and that they ultimately will be judged before God . They therefore advised the youth in order to change the attitudes and behaviors of their lives by directing them according to God's will. Indeed, some of those who have fallen into a life of evil leave this harmful way of life and turn to the people who are aware and a full sense of responsibility. Aware that a person will never improve his behavior as the teachings of Islam without sincerity, Adnan Oktar advised the youth that surround that makes the pleasure of Allah as the ultimate goal of their lives. He always told that everyone will be judged before God and therefore they should behave as possible in any condition. Two years after he was released in 1988, Adnan Oktar lay the ideological foundation of the Research Institute of Science (Science Research Foundation, SRF), which was established in 1990. He held discussions tenta ng moral values ​​with his colleagues who had the same view. During this period the intellectual foundation of SRF formed with input from Adnan Oktar. Finally, in January 1990, Adnan Oktar and his young colleagues established the SRF to carry out their activities through an institution and in order to reach the wider community. This institution allows the convening of several activities; member institutions publishing books and doing cultural studies, held a variety of panels, discussions and conferences to maintain and revive moral values. After the establishment of the institution, a big raid conducted by the police against the approximately 100 people who were attending regular meetings. More than a hundred members were detained and interrogated by police. The next day, some of the media reported the story of freemasonry owned this raid as a major crime syndicate have been caught. Most of the members were released after 3-4 hours. But falsehood and vile accusations that diberondongkan by a mas media lasted for several days. The press wrote that scenario would not go about Adnan Oktar and members of the SRF. The main purpose of the subjective is to deceive the security and judicial institutions with a range of made-up charges. However, all these efforts were in vain. Adnan Oktar who was detained and interrogated for a week finally released because no finding of criminal elements in the incident. This is clear evidence that the same group did this all as a way to deliver a stern warning. A number of allegations have been made and treason against Adnan Oktar by conviction and the preaching activities. He has been arrested many times, imprisoned for months, but in the end always found not guilty. This picture shows him being taken to court by security guards. During 1990, the activity of SRF continues to walk with a stronger determination. In mid-1991, two members of the Institute officially married. But the families of the bride and groom do a lawsuit against the marriage. Strangely Adnan Oktar who blamed for a reasonable marriage, which does not contain an element that was not valid. These reasons lead to Adnan Oktar was arrested again. But this time the existence of a covert plot is visible. The officers who raided the home of Adnan Oktar in Ortaköy where he lived with his mother discovered a packet of cocaine tucked inside a book. There are about a thousand books on shelves that covered two walls of his house, and the officers found cocaine in a few minutes just as if they were the one who had just put cocaine in it. Soon after this incident Adnan Oktar, who was then in Izmir with some of his friends were arrested. He was then transferred to Headquarters Security, Istanbul, and held for 62 hours. After that, he was sent to the Institute of Forensic Medicine (Forensic Medicine Institution) to undergo testing cocaine. Test results are shocking! High doses of cocaine metabolic products were detected in his blood! But after some time, the evidence suggests that this is a plot. First of all, the cocaine had been found in the home is considered Adnan Oktar was part of the plot. Some time before the plot was carried out, Adnan Oktar gained an inkling that evil plans are directed against him so he left his home in Ortakoy, Istanbul. Then he called his mother and said it was likely a sinister plot is being done about it. Then he asked his mother to clean and check the house thoroughly with the help of some other people so that later they can be witnesses. Adnan Oktar's mother, Mrs.. Mediha Oktar then called one of his neighbors and the guard house and together they clean the whole house, clean up the dust on the books on the shelves one by one. Although Adnan Oktar never go home after this cleaning, 16 police officers raided the house suddenly found "a packet of cocaine" in a book. Neighbors Ny. Mediha Oktar and the doorman gave their personal testimony in public by saying, "We previously had cleared all the books Adnan Oktar one by one, and there is not one such package in place." The second part of the plot cocaine is the cocaine metabolic products were detected in the blood of Adnan Oktar. Scientific evidence and the court denied these allegations. Adnan Oktar was in the Security Headquarters for 62 hours and cocaine tests performed after 62 hours. By knowing the levels of metabolic products of cocaine in his blood, one can calculate the exact levels of the cocaine that enters the body. In addition, the results of this calculation can show how many hours ago the cocaine consumed. Doses of cocaine were detected in the blood Adnan Oktar found to be at levels lethal if ingested 62 hours ago. In other words, such a high dose of cocaine would kill him if he swallowed it 62 hours ago. These findings clearly prove that the cocaine was detected in the blood of Adnan Oktar entered his body within 62 hours. He was given cocaine during his detained at the headquarters. Cocaine mixed into his food while in police custody. Truth findings are also confirmed by 30 international forensic medicine institutions, including Scotland Yard. They all checked the file that was sent to them containing about this case. Conclusion of their examination results were: "The cocaine had been mixed into his food when he was in police custody. This event is a coup. Later, the Institute for Forensic Medicine of Turkey also confirmed that the cocaine had been mixed into the food while he was in police custody. Adnan Oktar was found not guilty and acquitted. Nevertheless, cocaine plot gives an important fact: there is evil group that has a profound hostility against Adnan Oktar and, therefore, justifies any means to hinder his activities. Adnan Oktar announced that it was preparing a new book about freemasonry which would expose their secret strategies in Turkey. It has been proven that the Masonic centers (another name of freemasonry), which had previously been intimidated against Oktar through containment and pressure, was behind the plot cocaine. Through a cocaine plot contained foul intentions of freemasonry illegal organization, namely that Adnan Oktar in prison for many years despite the fact that shows that Adnan Oktar never committed a crime whatsoever. Another evil intent was to show that he was a drug addict so this will drop his honor in public. Indeed, the actions of the media controlled by the Freemasons who insult to his campaign is a real form of support they give to the Freemasons. Some newspapers wrote these words insults with large letters as the title of the main article. Their main goal is to stop all the activities of people who are committed to spreading the word of Allah and the noble morality. Adnan Oktar's struggle positioned face to face with their ideals, and they use nefarious means to establish a society truly materialist who did not recognize moral values. Subjective attitudes demonstrated the mass media has become increasingly apparent in the following years. A newspaper was anti against Adnan Oktar provide eight columns for news containing insults against Oktar: but the news that Adnan Oktar had been found not guilty and acquitted by the court is not loaded, or loaded in a few lines and that too with words less in place. The fact that the freemason and materialist work together in the fight against Adnan Oktar is the most tangible evidence that he was in the right. Any insult to the Muslims who are mentioned in the Qur'an directed also against him. He said as a "witch", "lunatic" and "people who are struggling for their own advantage". All the disgusting insult to him and is disseminated is because honesty and cleanliness. However, Adnan Oktar often emphasized that as an insult and an attack by a group of people who are on the wrong path toward self-respect for himself he is. After Adnan Oktar Science Research Institute develop a mission, he watched closely the activities of the institution for two years without stopping and by the year 1991, he devoted all his time to writing books. Especially after cocaine treason committed against him, he retreated to avoid the purpose of the plot and a similar attack, and to allow time for writing books. He spends his time at home. Sometimes he visited his friends and participated in several discussions. He always refused when asked for an interview by some newspapers and television stations, although they are expecting. In this period, participation in the activities of Adnan Oktar Science Research Institute is limited to providing ideas for the stage of laying the basic principles of these institutions. He can only give some advice to a member institution of the principles of the Qur'an and good behavior. This period lasted until 12 November 1999, ie when the police conducted an operation against members of the Research Institute of Science. One of the ideals of Adnan Oktar is to make a radical change in people's beliefs about religion, namely, that "religion is only reserved for older people, and most of the people alone." This assumption is really a barrier to the entry of the truth of the Qur'an most people. Those who are considered role models for the younger generation are homosexuals, liars, people who are not obscene and so forth. A large number of people to be degraded, which does not have religious values ​​and morality, mendzalimi himself by directing them to destruction day by day. However, there is still hope to save most of these people if they are delivered to the truth. To dispel the notion that the public believed as above, Adnan Oktar took the initiative to contact people who can make a change "symbolic" to the community and inform them about moral values. This prompted some members of the Research Institute of Science in contact against famous people like models, singers and artists. It is reported in a press conference organized by the SRF as follows: "The dialogue held between members of the SRF with the models based on the intention to make them familiar with the values ​​of good manners. Especially during the years 1994-95, several members of the SRF to make friends with some models. During this period, members of the SRF to explain to these people about the moral degradation experienced by the people and inform them about the existence of God. Many books about the wonders of the Qur'an and the good morality given kelpada them. The approach resulted in a genuine spiritual awakening within a couple of people. "Gulay Pinarbasi is a real example of a spiritual awakening. He was a model before she met with members of the SRF, but after that he decided to change his ways. He immediately left the former way of life and start a glorious life. He spent the time to do the scientific and religious studies, and after a while he started his career as a columnist in the conservative newspaper. In addition, some male models who are also touched by the truth proclaimed by SRF members quit their careers and their lives begin to change direction towards a completely different from the previous. In early 1998, Adnan Oktar and friends intellectual campaign against Darwinism massive. The campaign begins with a free spread thousands of Adnan Oktar's book, entitled The Lie Theory of Evolution and other leaflets were taken from the book are spread all over Turkey. SRF and then held a series of conferences "The Collapse of the Theory of Evolution and the Fact of Creation" throughout Turkey. The first three conferences were held in Istanbul and Ankara featuring world-class scientists from the United States as a speaker. Then a similar conference held in 120 cities and towns in Turkey. At the conference, members of the SRF, each with their specialized fields, giving lectures. The purpose of all this is to silence the scientific evidence Darwinism, a theory lies propagated under the guise of science. So with this conference thinking and understanding of the materialists be destroyed. Activities conducted by SRF led by Adnan Oktar was a great success. The people, who were not knowledgeable about the theory of evolution, then get a chance to see the inside of the theory of evolution and the various dimensions of scientific fraud that has spread throughout the world. The Turkish people finally realize the fact that the education system turns out is based on the theory of evolution the brain young. It is part of a plan hidden in the destruction of the social and moral values ​​of future generations. In addition, they get a chance to know that the materialist philosophy and the theory of evolution, which is touted as the scientific foundation of the materialist philosophy, is the source of the teachings of communism, the cause of anarchy and terror in various countries. Publishing books, organizing conferences, videotapes and CD creation is part of the principal activities performed by the contribution of SRF. Various production is at its core lies the problem revolves around the theory of evolution, the ideological background of the theory and the fact of creation. The books were written under the pen name "Harun Yahya" and the products produced by SRF consists of more than 100 books on political, scientific and religious, five documentary films, dozens of cassettes and interactive CD about the theory of evolution and the fact of creation . Collection of high quality with an attractive appearance and content validity is valid or recognized as a significant source of material.